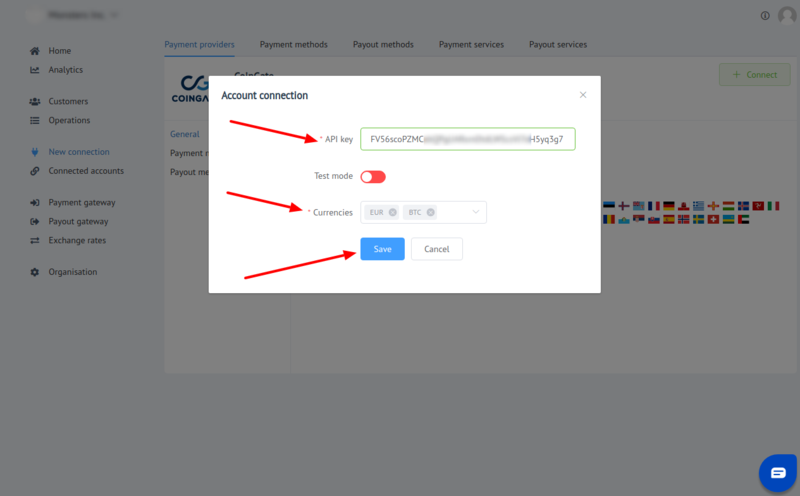 Here You can find instructions for setting up CoingGate account! Invoice Time, Max % of Order Amount to Cover, Underpaid Cover %, Notification parameters are set at your choice! You have created the API app! Copy the API key straight away after App creation! It will be unavailable later! 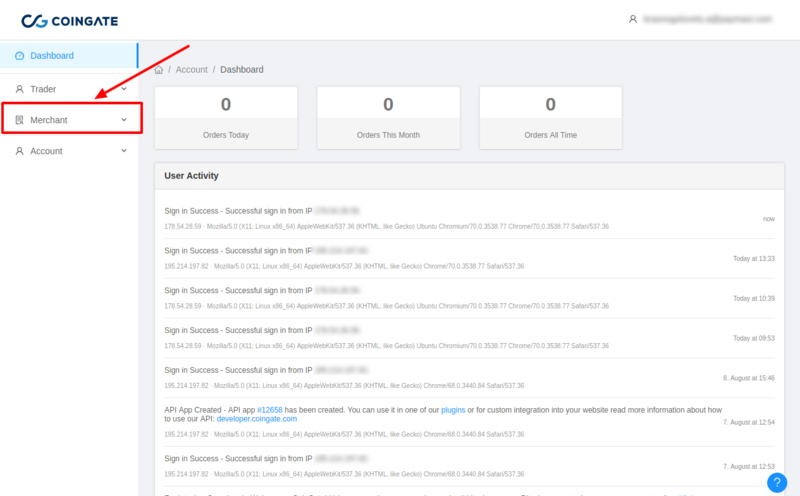 Press Connect at CoinGate Provider Overview page in New connection section to open Connection form!